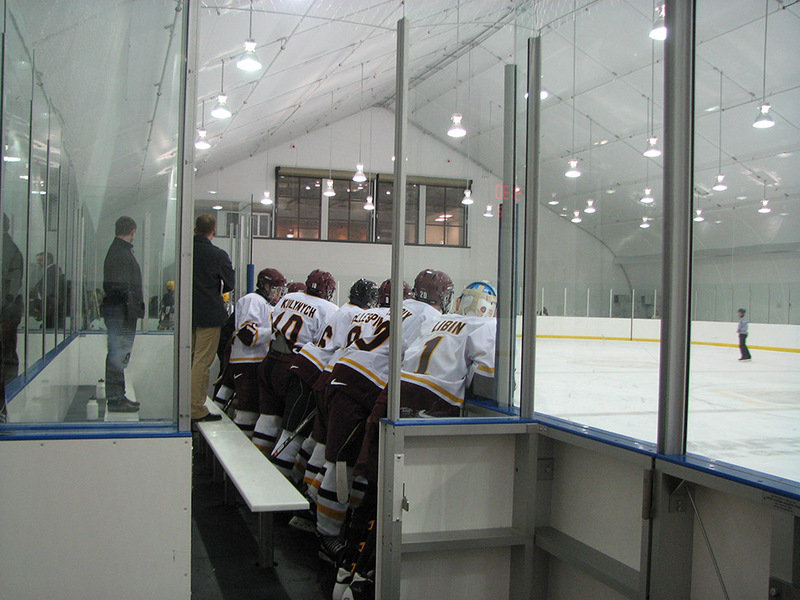 Sprung structures provide an immediate, cost-effective solution for arena construction. 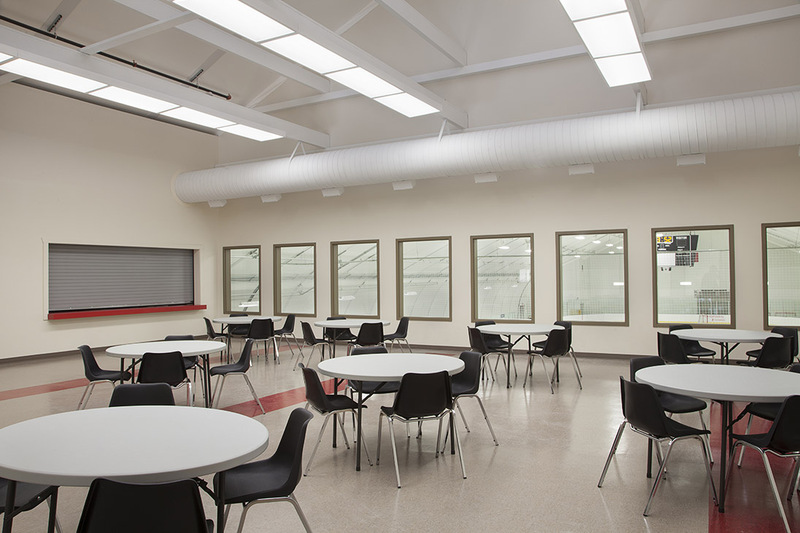 Our tall peak-height, with white tensioned interior membrane provides, an exceptionally bright interior. 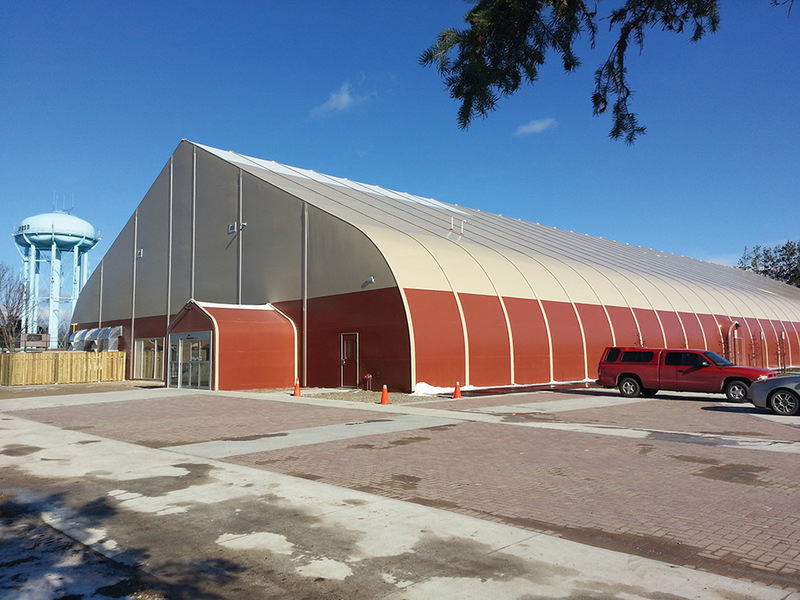 A single Sprung Performance Arena can be constructed on schedule for under $8 million. From ground-breaking to completion, a Sprung Performance Arena can be constructed in just six months. 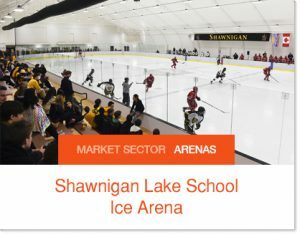 Shawnigan Lake School, Canada's premier boarding school, recently added a Sprung Performance Arena. 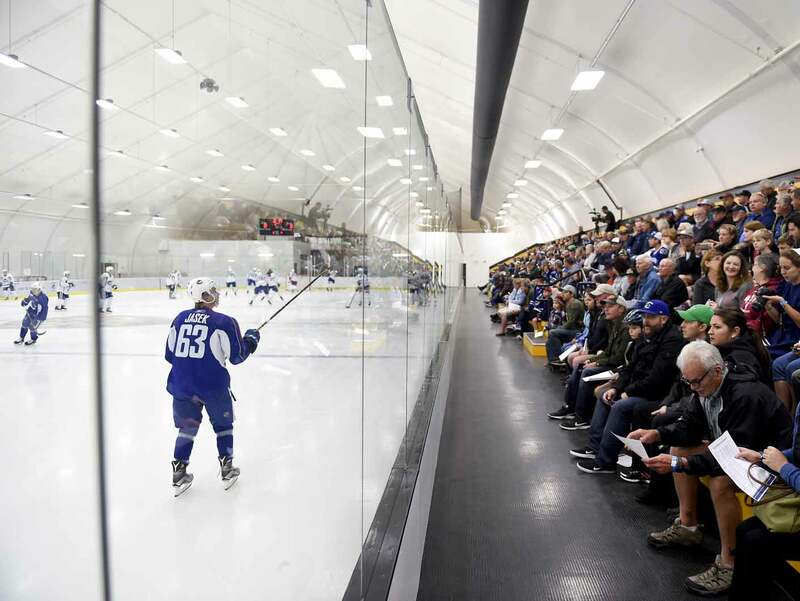 Vancouver Canucks summer prospects camp. Wide range of exterior colors. 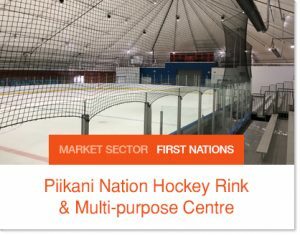 Large peak height allows for climate controlled second floor viewing	 120' wide x 330' long arena, complete with center ice scoreboard. 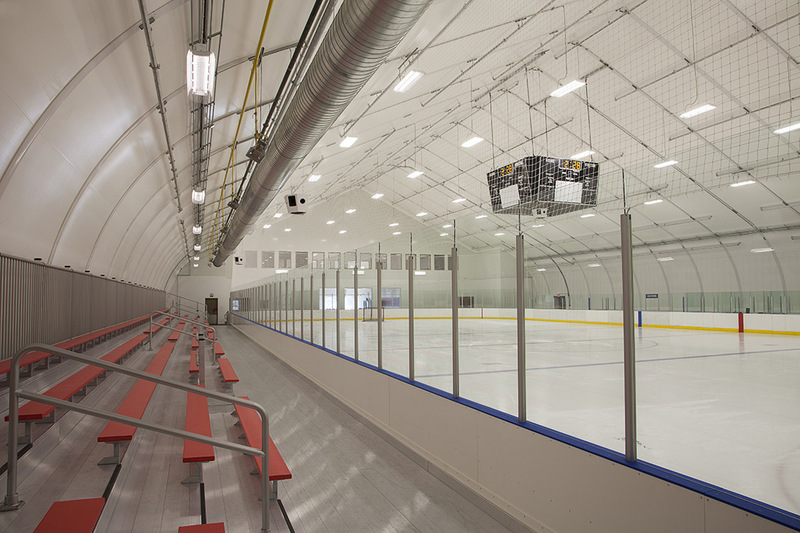 Climate controlled for spectator viewing. 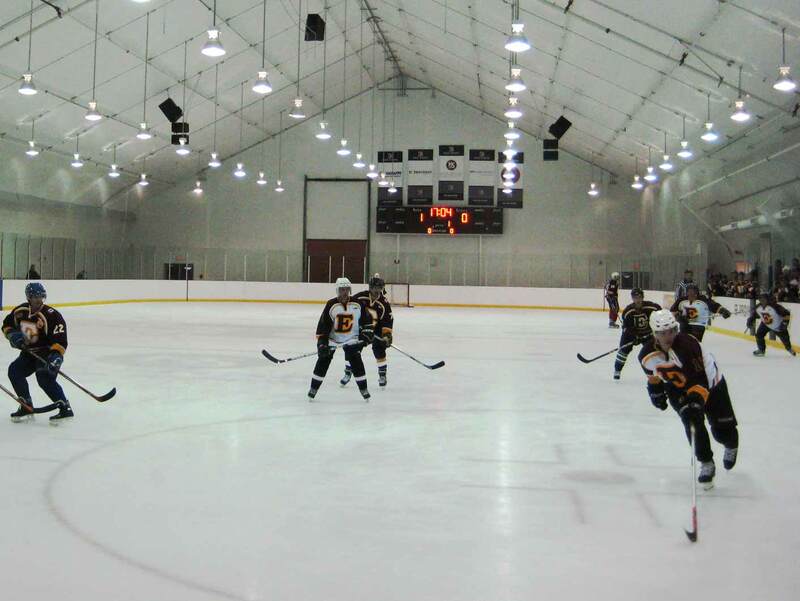 A Sprung structure is the perfect solution for the arena or stadium builder who needs anything from a complex ice arena center to a simple stadium building. Sprung provides a better return on investment, thanks to low construction costs, quick build capabilities, lower operating costs and a sophisticated interior environment for large recreational needs. 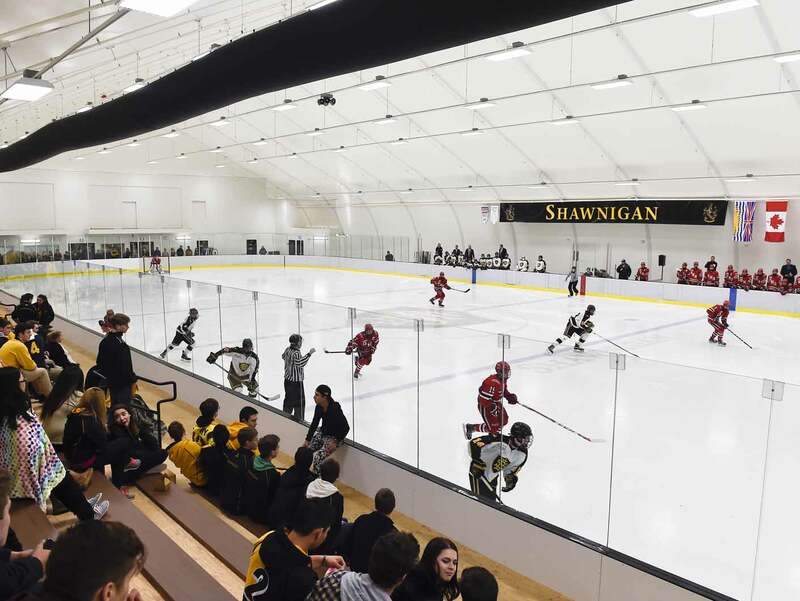 Sprung’s bright, clear-span spaces provide a natural setting for play in all seasons, while an energy-efficient insulation package provides comfortable climate-controllability and lower overall operating costs – particularly beneficial for ice arena structures. As a long-term solution, Sprung stadium and arena enclosures offer performance and increased attendance, and keep community members moving. 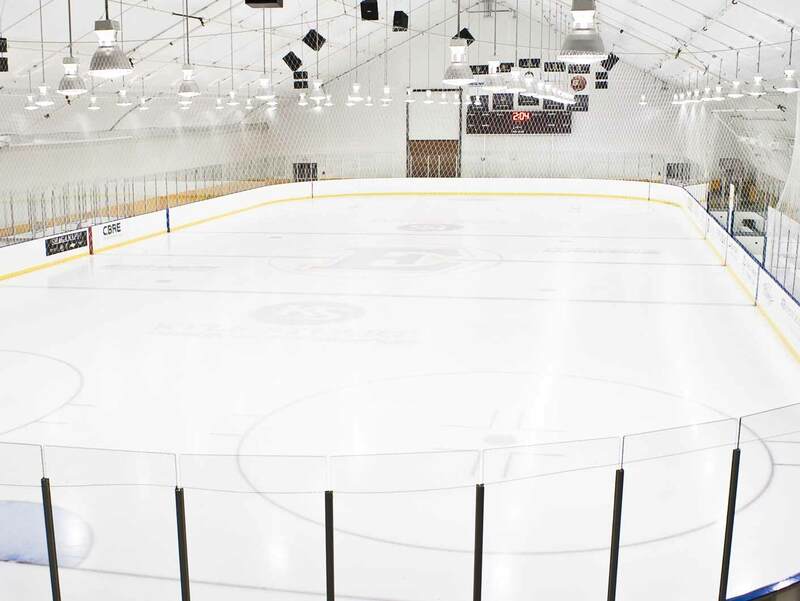 Superior Performing Playing Environment – Provide a bright and spacious playing environment with a tall peak height, fortified with a fully tensioned white interior membrane. Engineered for Extreme Climates – Enjoy peace of mind: Sprung structures are engineered to withstand even the most extreme weather conditions. Rapid Construction Schedule – Significantly reduce construction costs and timelines compared to conventional stadium or arena building construction. Superior Performing Insulation System – Achieve exceptional performance as well as lower operating and energy costs with Sprung’s airtight building envelope and fully lofted fiberglass insulation system. Custom Colors and Graphics – Choose from a wide selection of exterior options and showcase your brand with high-quality custom graphics. 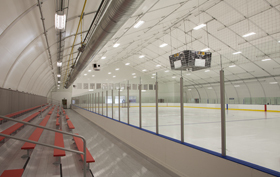 Many members of the sports and recreation industry, including health and fitness decision-makers, stadium builders, community leaders and school directors, have already made Sprung their solution for arena structures and stadium buildings. 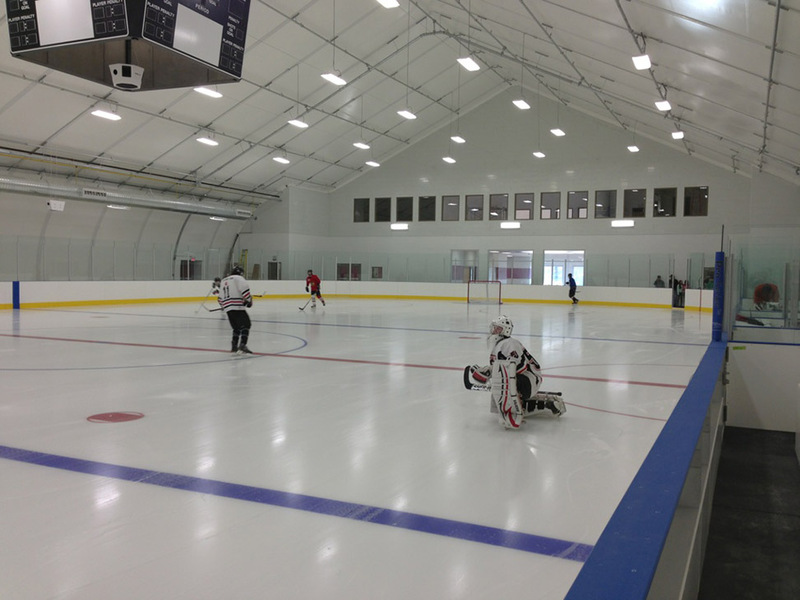 Sprung structures have been used in many different applications around the globe; as an ice arena building at the Edge School in Alberta, Canada, as roller rinks at Canyons Ski Resort, and as a stadium building addition for the San Francisco 49ers Team Store and LA Dodgers Team Store. 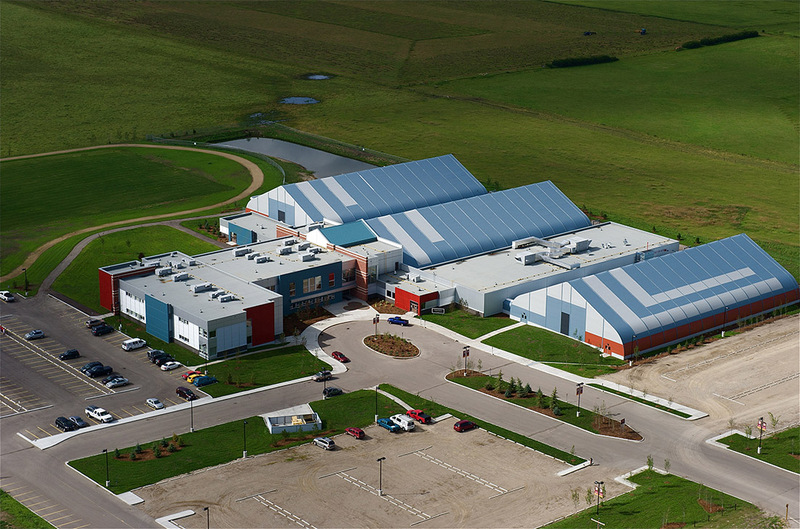 Learn more about Sprung Performance Arenas or contact your Sprung representative for additional details. How one Community met the sports needs of their growing community.